The National Energy Board is investigating the "safety culture" within TransCanada Pipelines Ltd., following revelations from a former engineer about substandard practices, CBC News has learned. 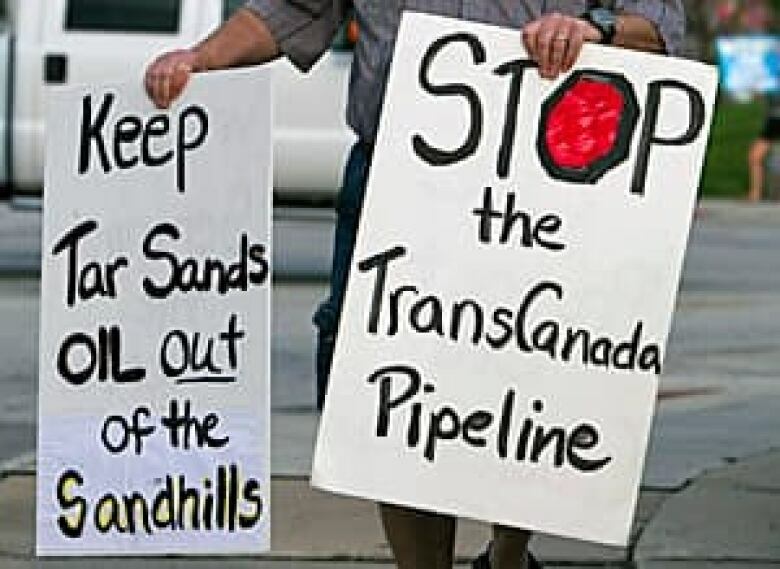 Canada's federal energy industry regulator is investigating the "safety culture" within TransCanada Pipelines Ltd., following revelations from a former engineer about substandard practices, CBC News has learned. "This upcoming focus audit will certainly address the allegations and things related to the allegations," National Energy Board (NEB) chief engineer Iain Colquhoun told CBC News in an exclusive interview. "But more importantly, the auditor is going to probe into the safety and loss management system of the company, and that is where he will be able to detect to what level they have an adequate or healthy safety culture." Former TransCanada engineer Evan Vokes said he reported the company's substandard practices to the NEB because he believed the company's management, including its chief executive officer, refused to act on his complaints. In an exclusive television interview with CBC News, Vokes said he raised concerns about the competency of some pipeline inspectors and the company's lack of compliance with welding regulations set by the National Energy Board, the federal energy industry regulator. "I wrote a series of emails to a series of project managers saying, 'We can't do this practice, we can't do this practice, we can't do this practice,'" Vokes said. "And I received increasingly pressured emails about how things were OK to do it that way." Vokes said he met with the Calgary-based company's vice-president of operations, and he also wrote a detailed letter to TransCanada Corp. chief executive officer Russ Girling. Frustrated, he finally made a formal complaint to the NEB in May, a version of events confirmed by Colquhoun. The NEB launched an investigation in June. On Friday, the NEB issued a public letter to TransCanada. Without naming Vokes, it said "many of the allegations of regulatory non-compliance identified by the complainant were verified by TransCanada's internal audit." Colquhoun said the NEB did not find the compliance issues posed an immediate public safety risk. "But what they do, in aggregate, is they incrementally erode the development of a safety culture, and that's what we want to develop in companies," he said. "And if there is damage to the safely culture, ultimately it might result in a safety consideration. So that's why we take the individual non-compliances very seriously." Colquhoun said Vokes did the right thing by taking his complaints to the NEB. "Evan Vokes took the initiative to try and resolve the problem using the internal procedures and we would encourage people to do that," Colquhoun said. "But having not got there, he took the extra step of involving the regulator, and we would certainly encourage that." Vokes went on stress leave in November, 2011. In March, 2012, he met with top National Energy Board officials and on May 1, he filed a formal written complaint with the NEB. TransCanada fired him on May 8. Vokes, 46, had been a machinist and a welder before he returned to the University of Alberta at age 30 to become a metallurgical engineer. Barry Patchett, a retired metallurgy professor, said he knows his former student as an engineer who is technically proficient, honest and responsible. Patchett said if Vokes made a complaint, "you can take that seriously; take it to the bank because from what I know, he takes his responsibility, his work seriously." Last Friday, the NEB issued a public letter to TransCanada. Without naming Vokes, it said "many of the allegations of regulatory non-compliance identified by the complainant were verified by TransCanada’s internal audit." The NEB said it was "concerned by TransCanada’s non-compliance with NEB regulations, as well as its own internal management systems and procedures." The regulator warned the company it would not tolerate further infractions of regulations related to welding inspections, the training of pipeline inspectors and internal engineering standards. It also announced a further audit of the company’s inspection and engineering procedures. "Pipeline safety is of paramount importance to the NEB, and it will take all available actions to protect Canadians and the environment," the regulator stated. The board, however, said the deficiencies "do not represent immediate threats to the safety of people or the environment." In an email statement to CBC News, TransCanada said "our reviews concluded that the items raised by the former employee were identified and addressed through routine quality-control processes well before any facilities went into service. "We are confident that any remaining concerns the regulator has about compliance and pipeline safety will be unwarranted," the TransCanada statement said. The NEB is continuing its investigation of TransCanada and warned that if the company doesn't fix the identified problems, it "will not hesitate to impose appropriate corrective actions." Many of the complaints by Vokes focused on TransCanada's practice of allowing its pipeline and fabrication contractors to hire the inspectors that would be inspecting the contractors' work. In 1999, the NEB imposed a regulation which requires the companies contracting the work, such as TransCanada, to supply independent inspectors to inspect the contractors' work. "There is an inherent conflict when a prime contractor does his own inspections," Vokes said, especially when the project involves gas pipelines under high pressure because the consequence could be greater since it relates to public safety. "In pipelining, there is a huge amount of stress for a very thin pipe," he said. "You certainly should be paying attention to what is wrong with your pipe, making sure nothing happens to it, and there are no injurious defects to your pipe as it is being put into the ground." Vokes said an NEB regulation ensures contractors can’t pressure inspectors to sign off on work that is not up to code. TransCanada has publicly admitted it did not always follow this regulation in the past, but said it was industry standard. Vokes said TransCanada believed independent inspection slowed production, driving up construction costs. These latest revelations about TransCanada's inspection and engineering practices come in the midst of a U.S. presidential election campaign in which the proposed Keystone XL pipeline is a major issue. A subsidiary of Calgary-based TransCanada Corp. is proposing to build the controversial $12-billion pipeline to transport 830,000 barrels a day of mostly Alberta oilsands crude to refineries on the U.S. Gulf Coast. 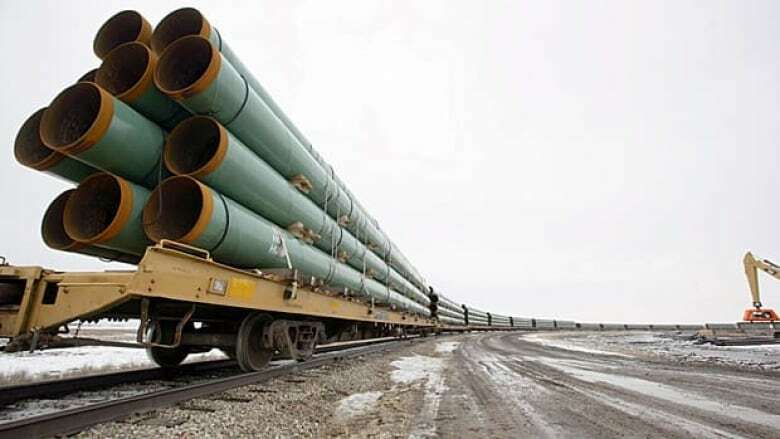 U.S. President Barack Obama rejected the application by TransCanada in November, 2011, saying more time was required to assess its environmental risks. The firm resubmitted its proposal for an altered northern segment of the route in May. It said the proposal addressed concerns about potential damage to a massive aquifer beneath the environmentally-sensitive Nebraska Sandhills. The pipeline, however, is also facing strong public opposition in Texas from landowners and others.